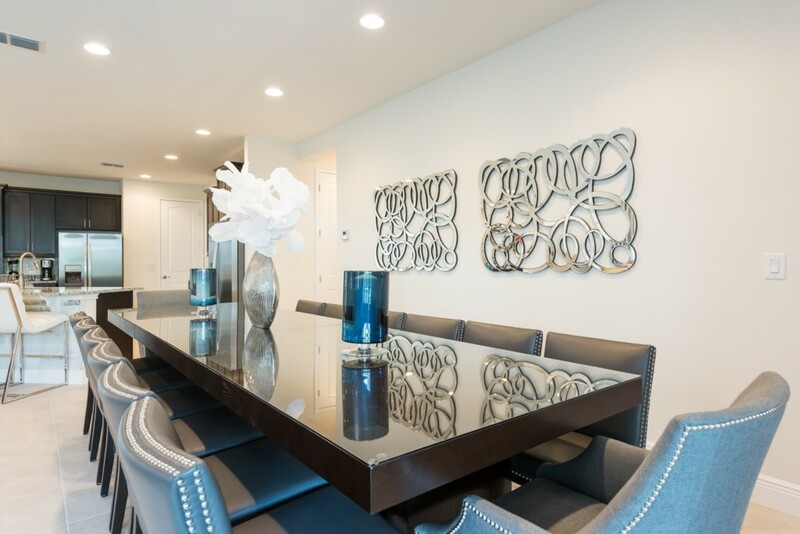 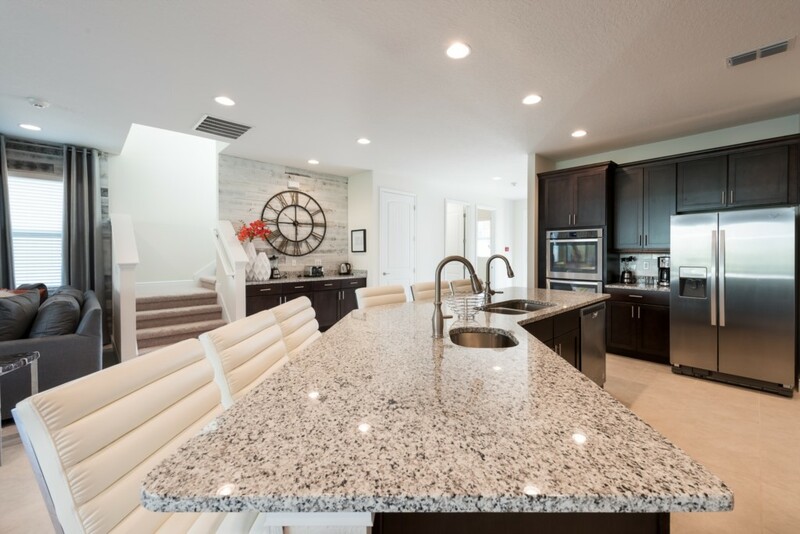 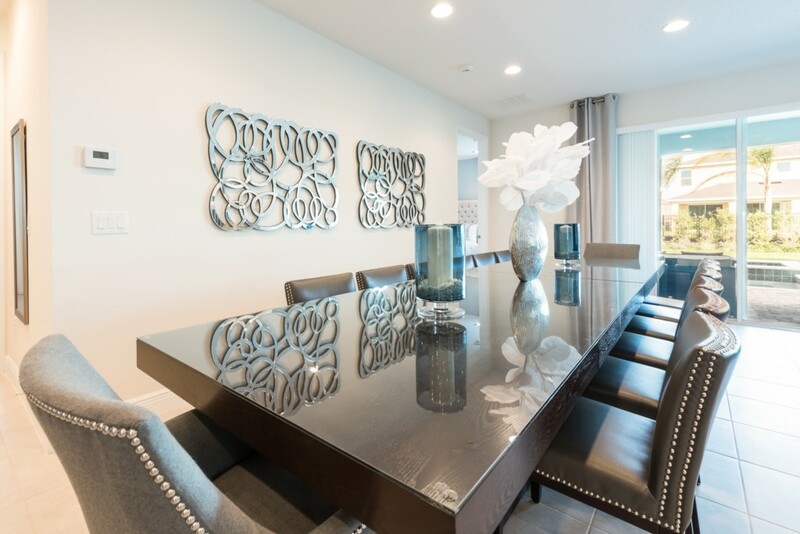 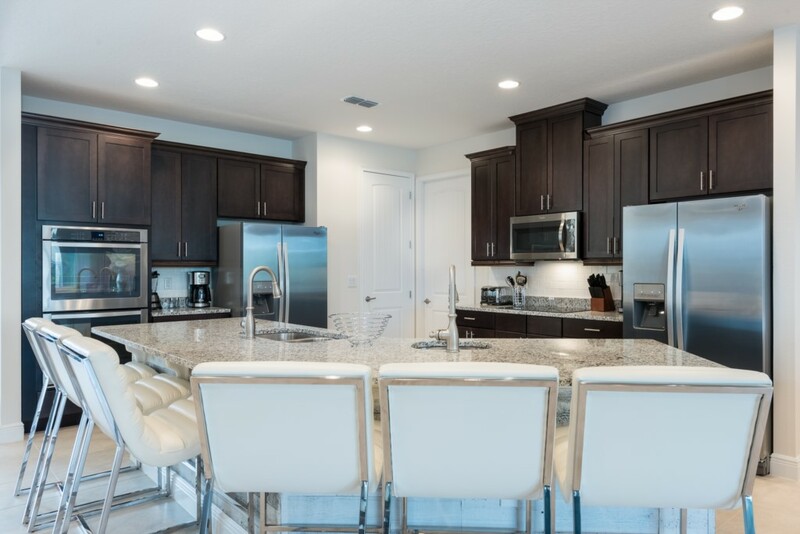 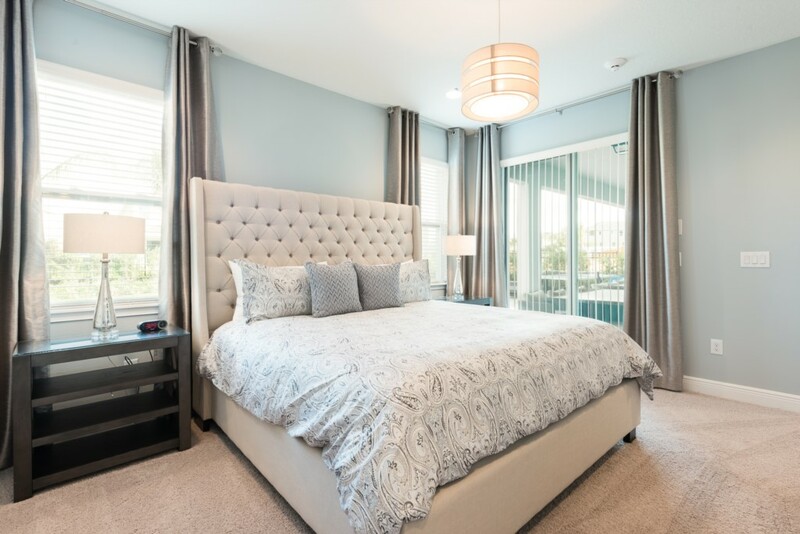 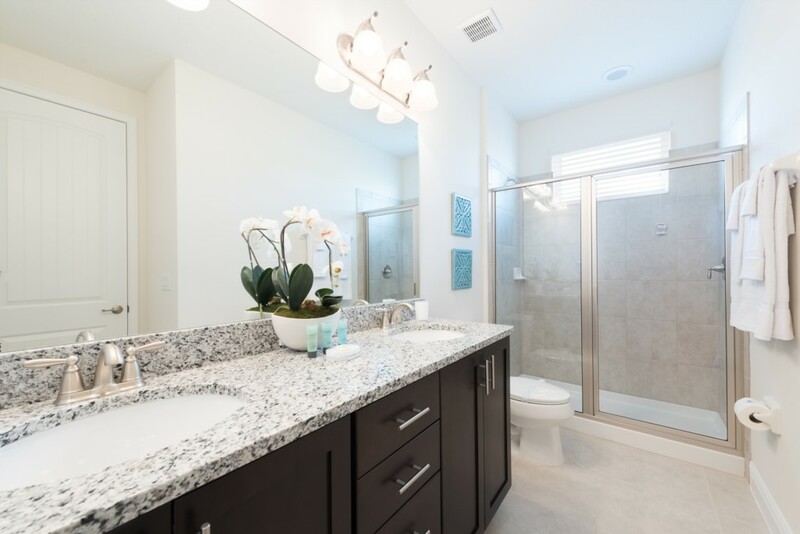 This gorgeous luxury villa is located at the Encore Club, less than 10 minutes to the happiest place on Earth and their 4 incredible theme parks! 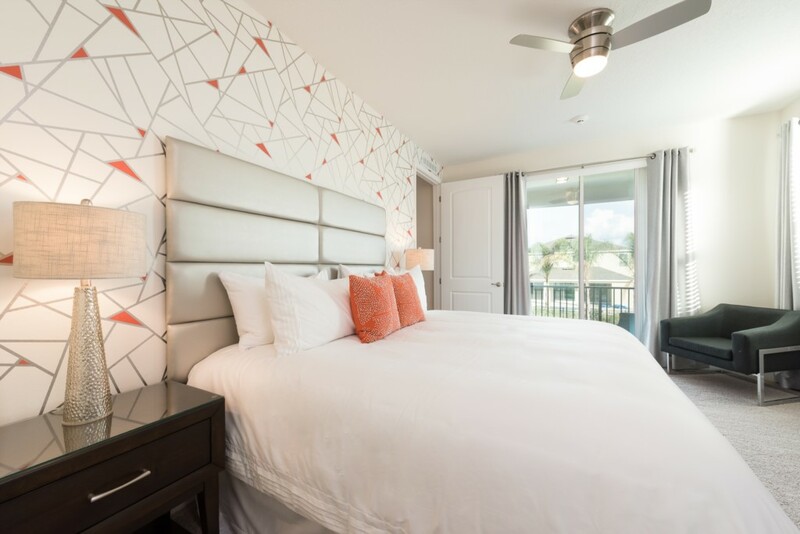 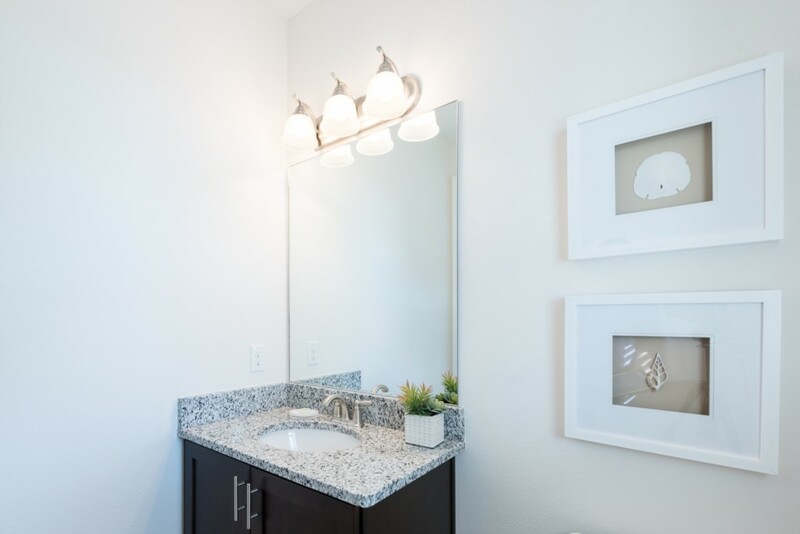 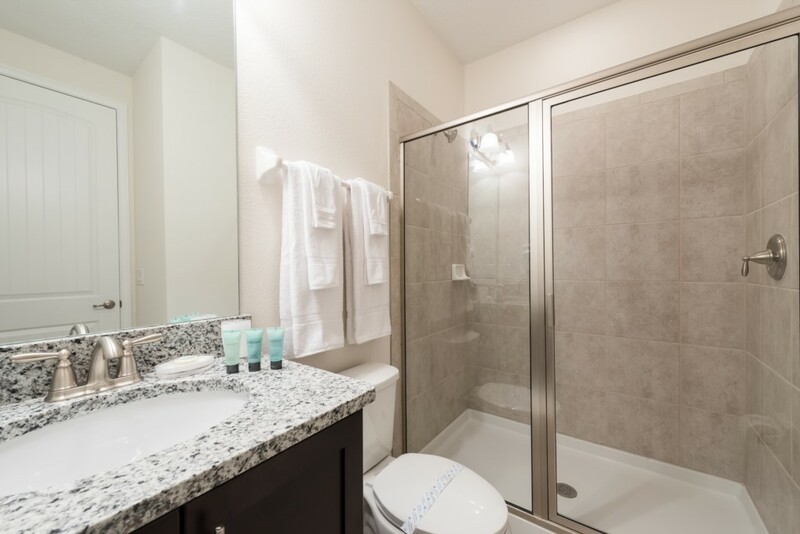 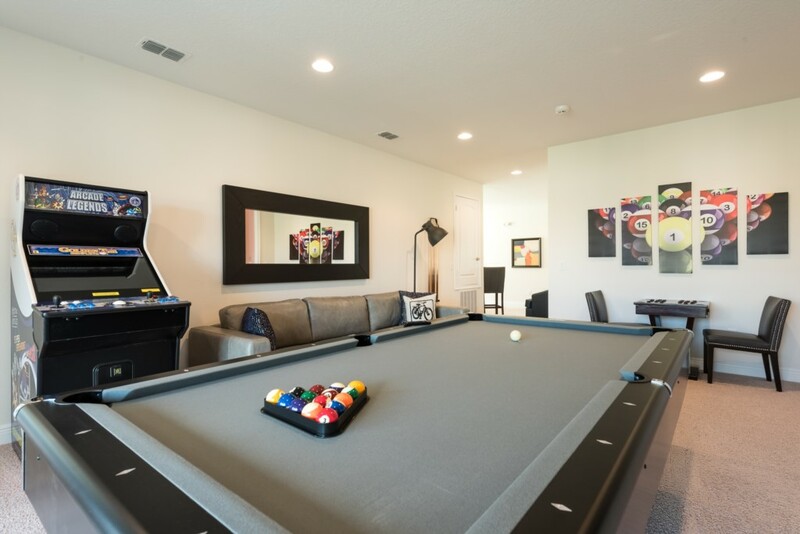 The Encore Club also offers exclusive amenities right on property such as their fabulous clubhouse with a restaurant/bar and fitness center as well as an Aqua park with twisting and drop slides. 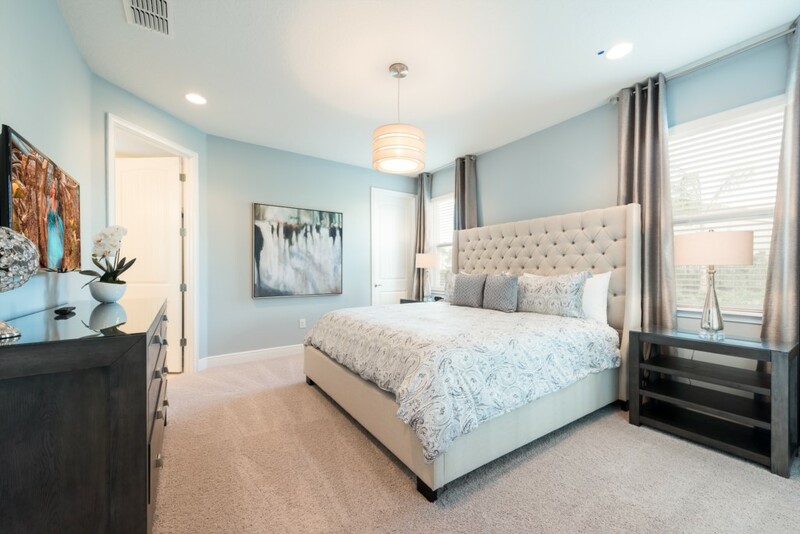 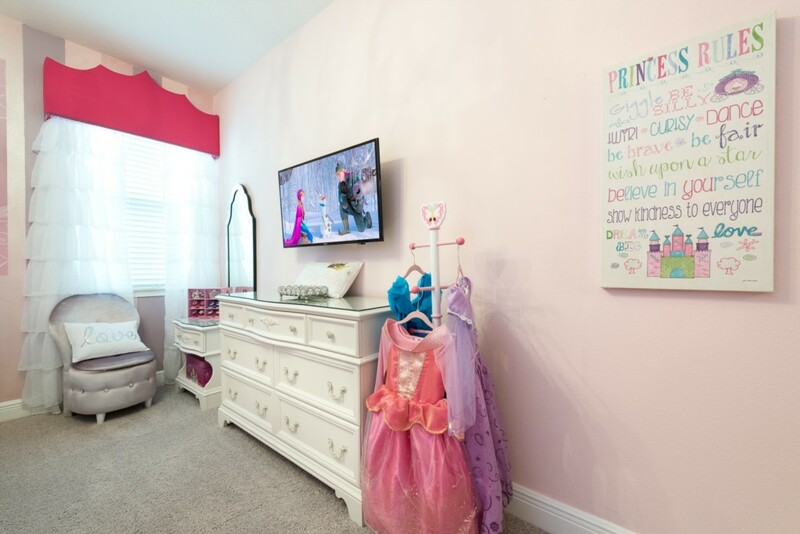 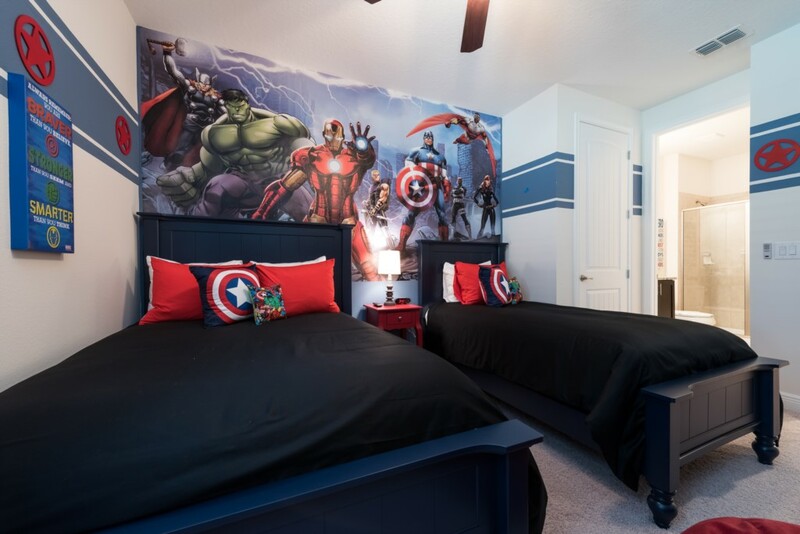 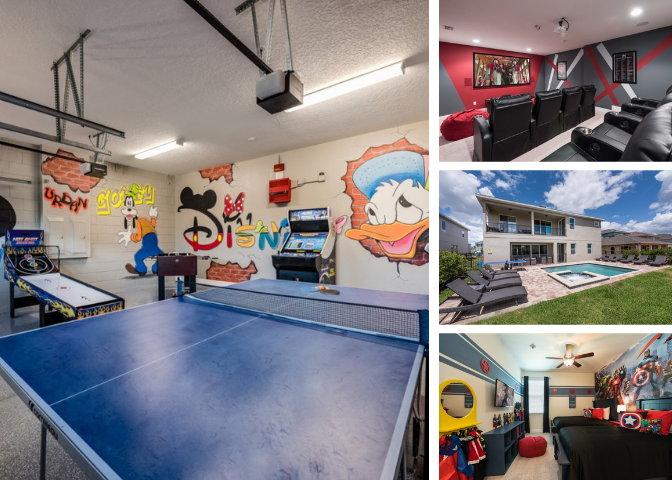 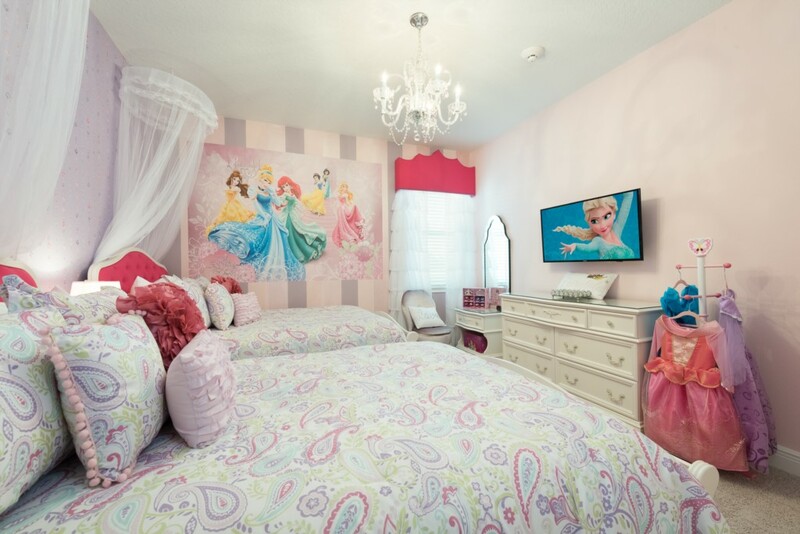 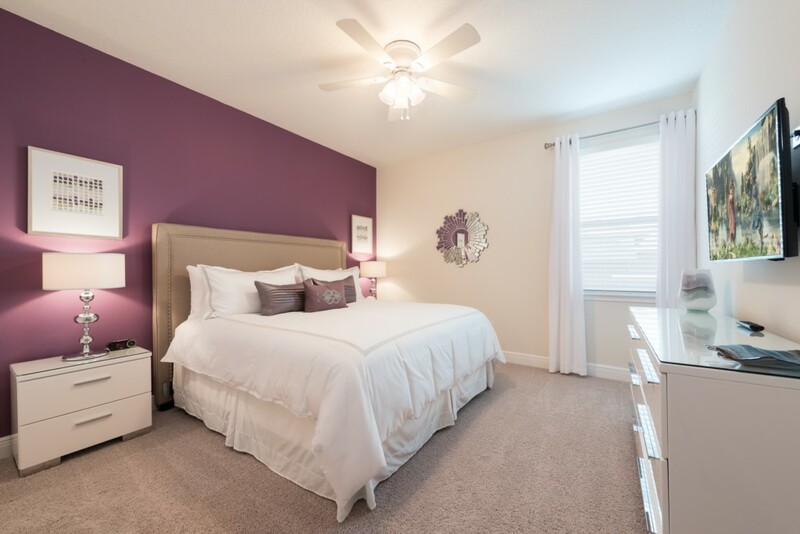 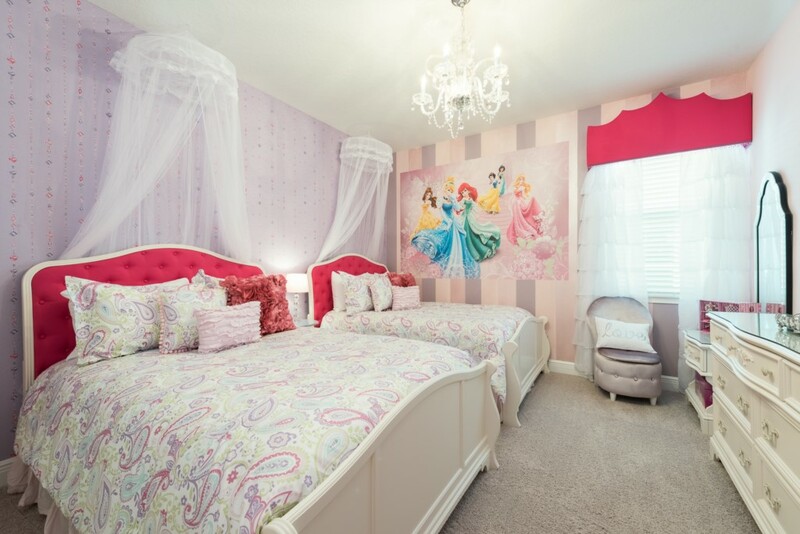 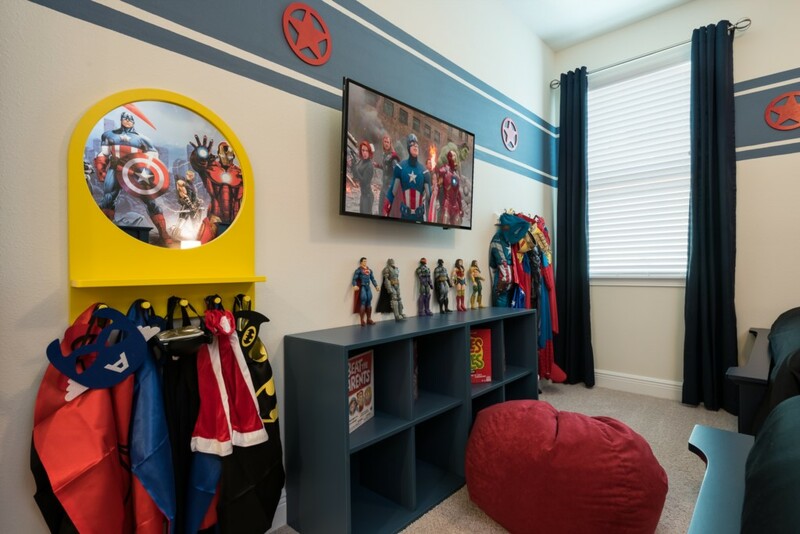 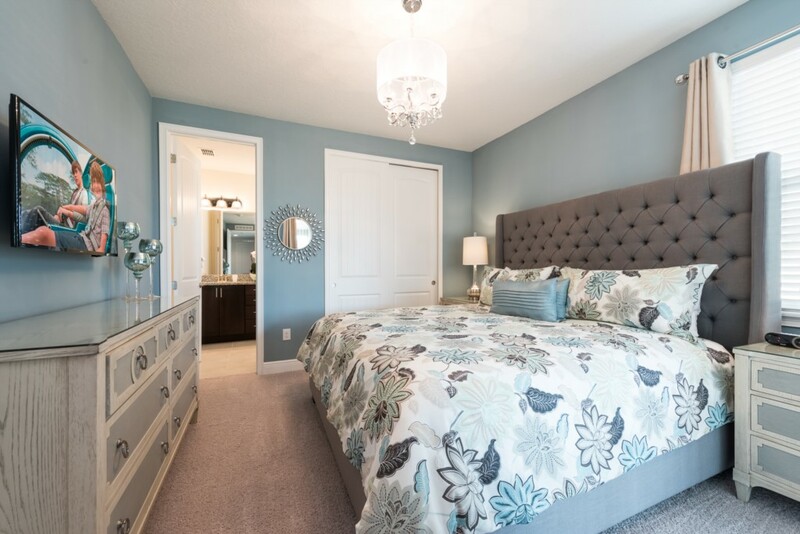 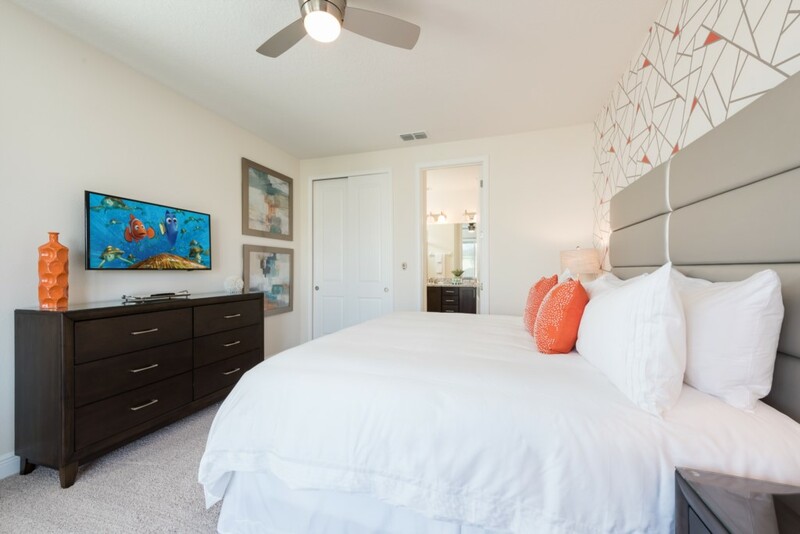 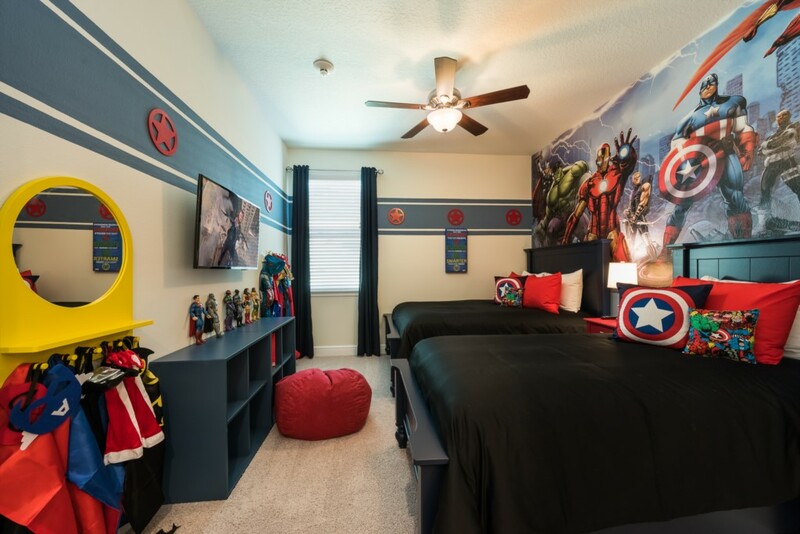 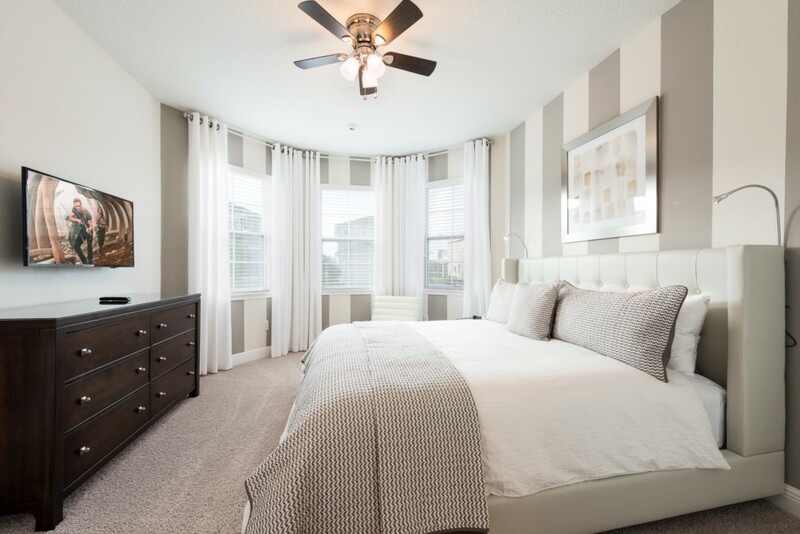 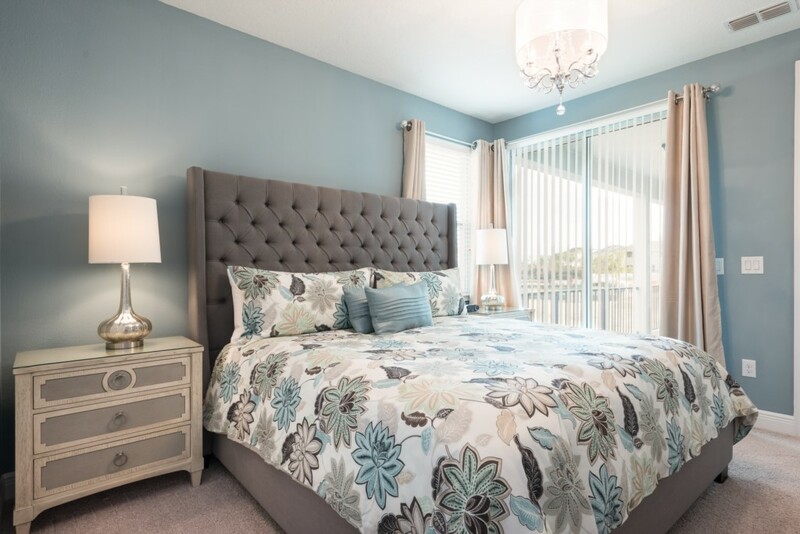 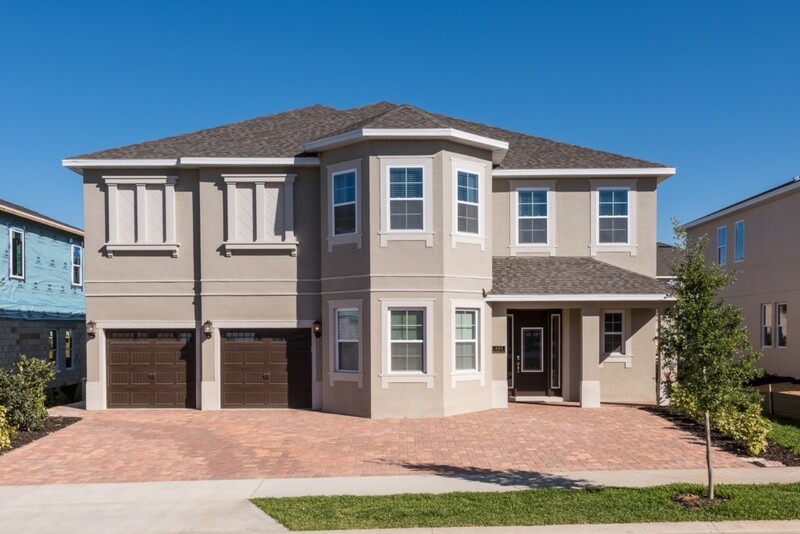 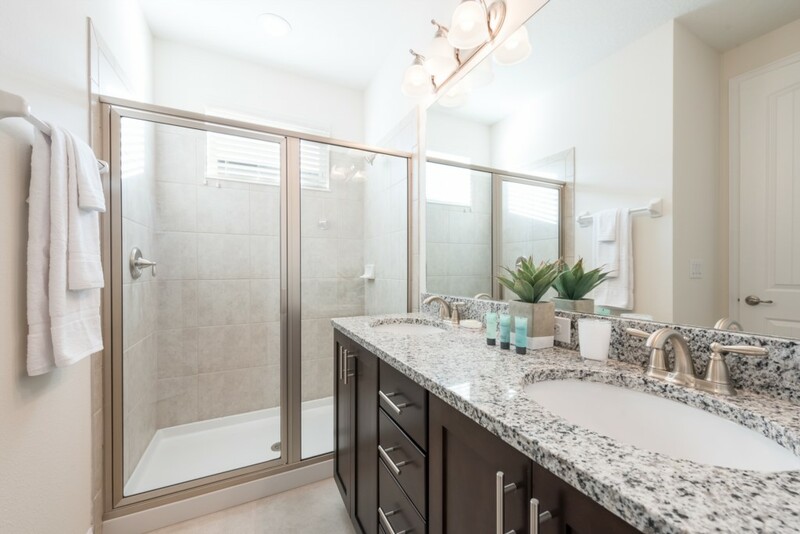 Furnished with a contemporary style, this home can sleep up to 22 guests and includes 7 King sized suites as well as 2 children's themed bedrooms such as Princesses and Superheroes! 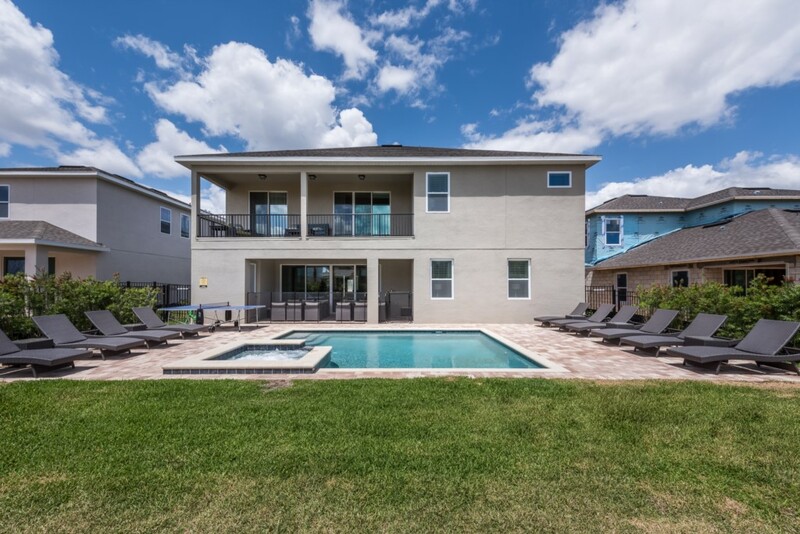 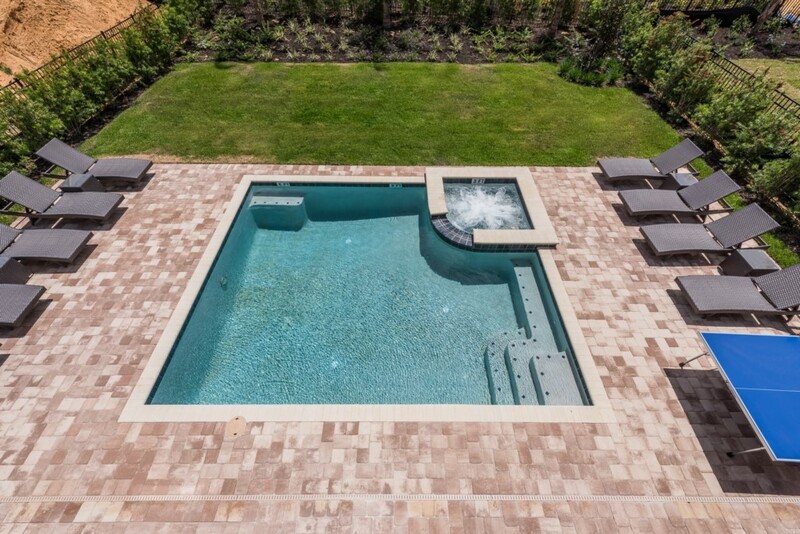 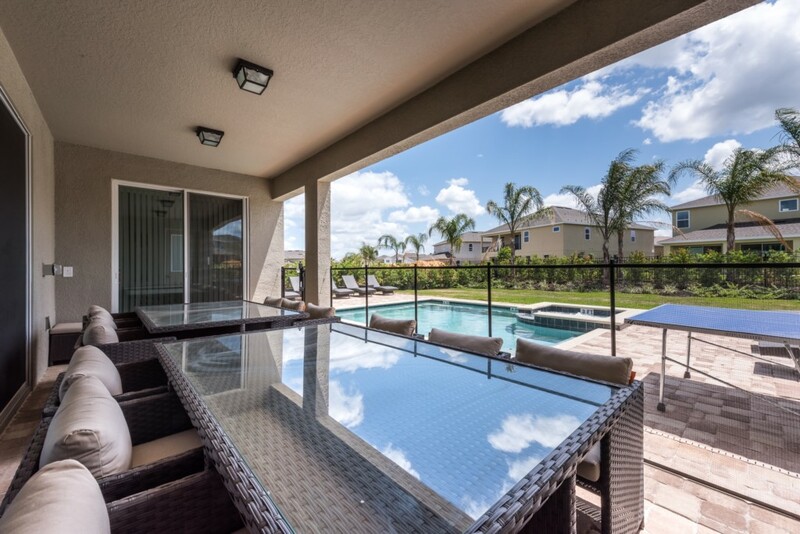 The private outdoor deck is the perfect way to enjoy Florida's warm weather with your own swimming pool and spa as well as an outdoor ping pong table, great for some friendly competition! 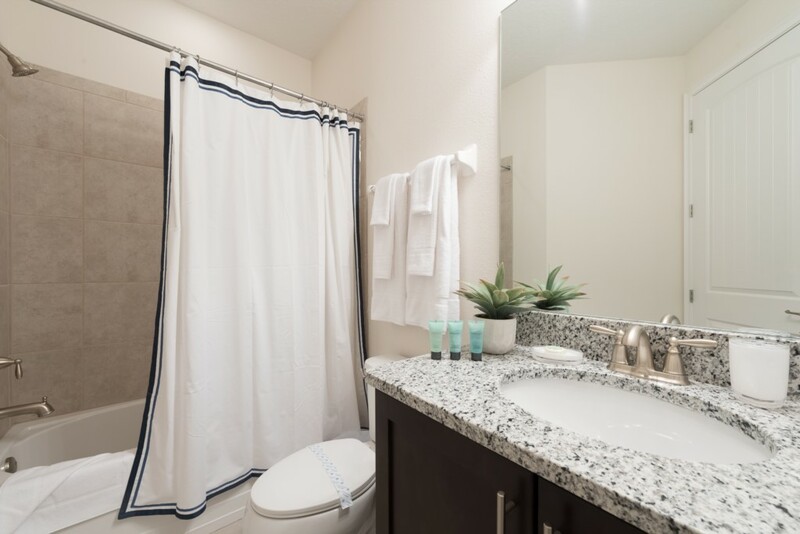 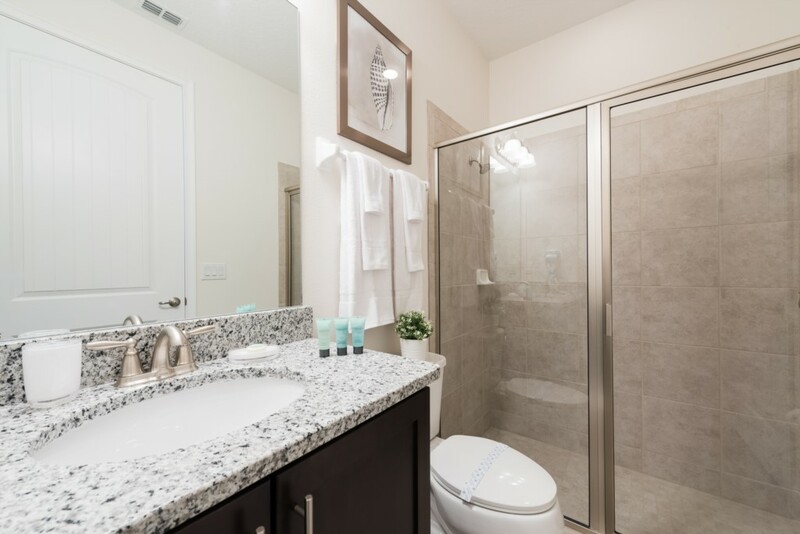 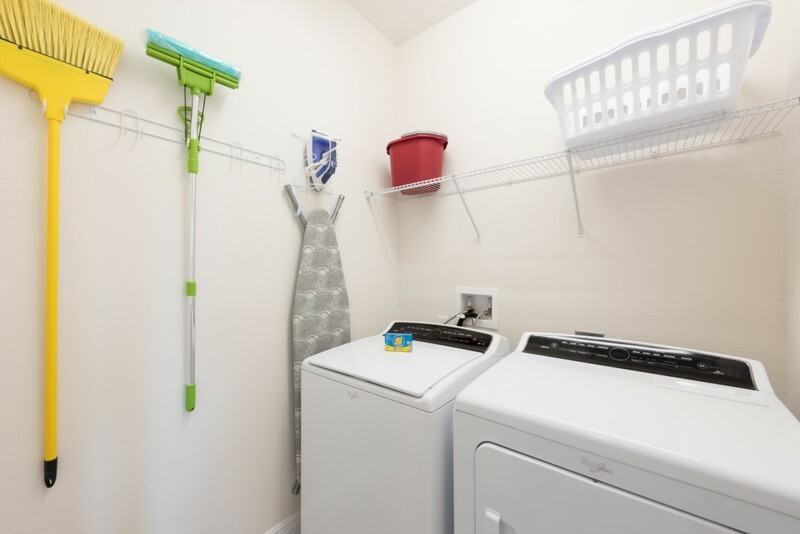 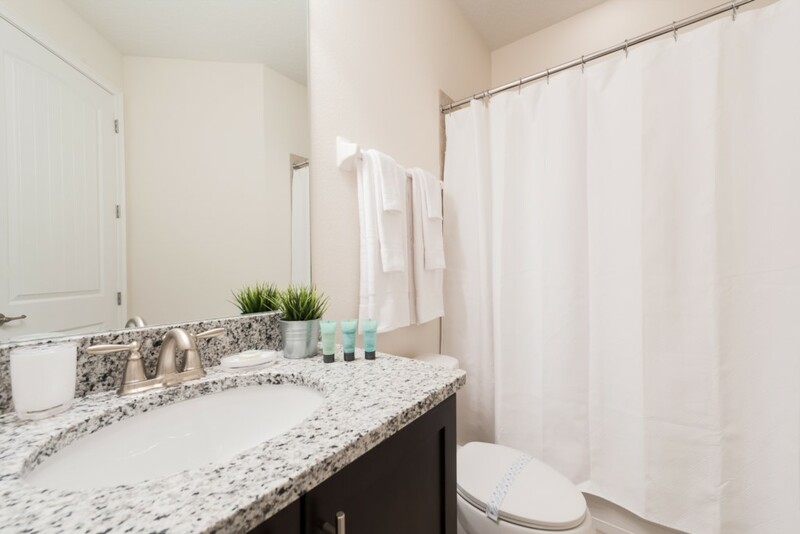 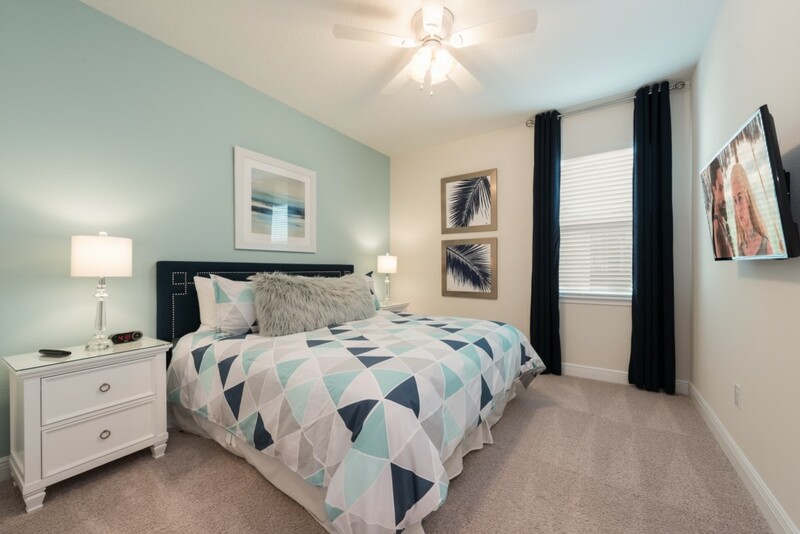 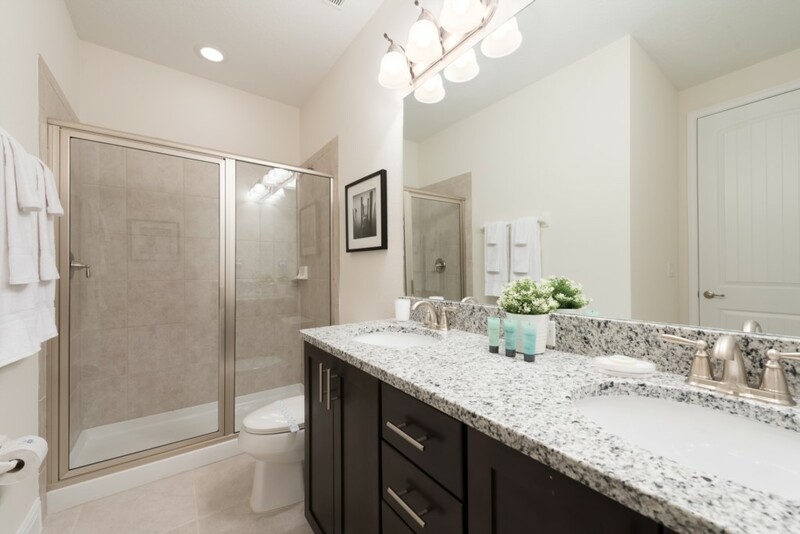 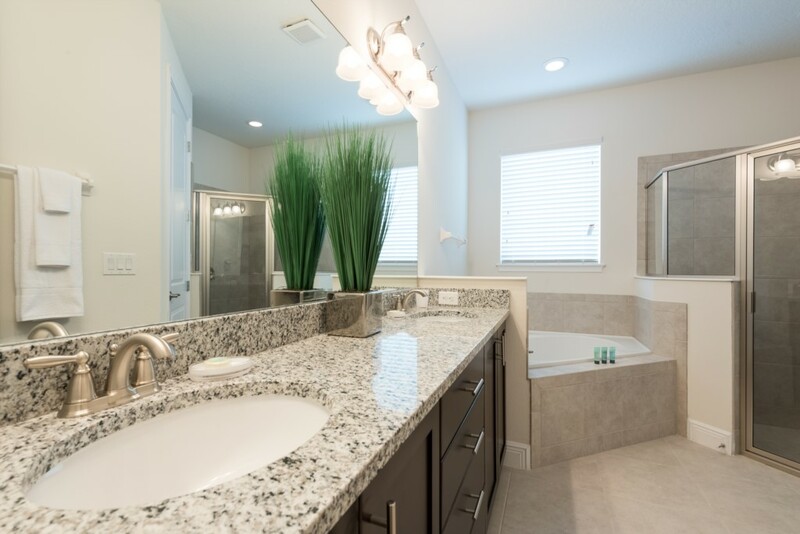 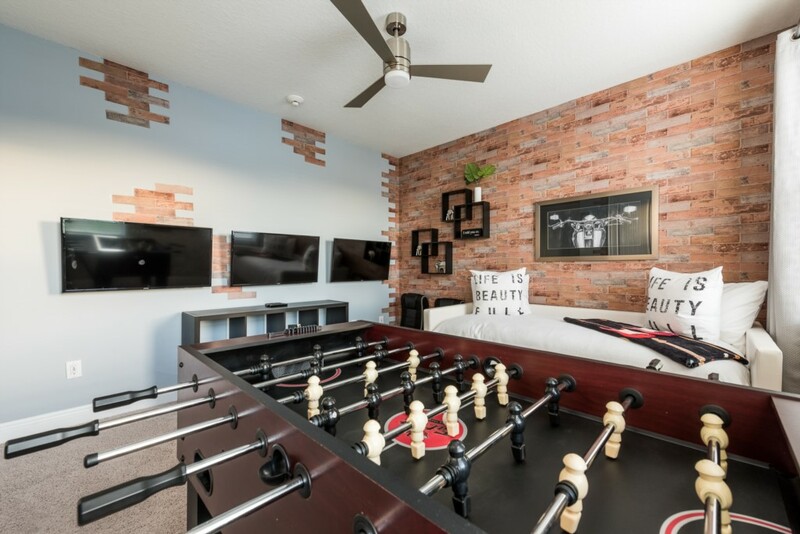 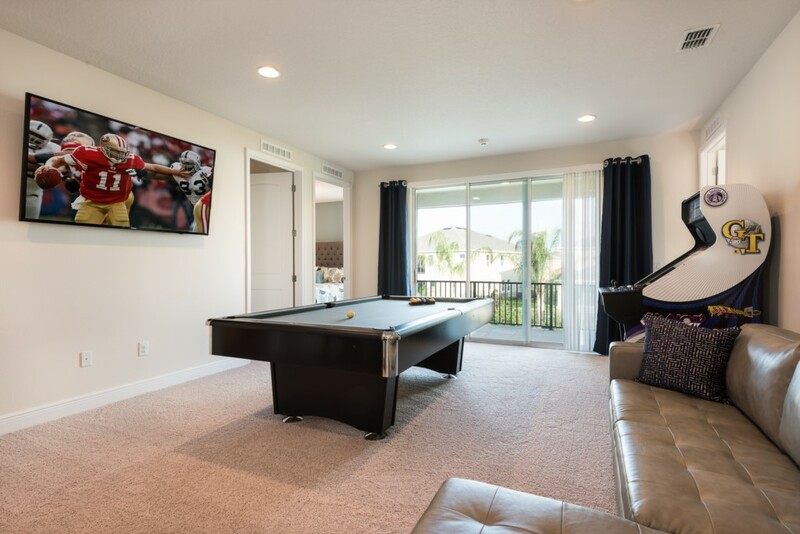 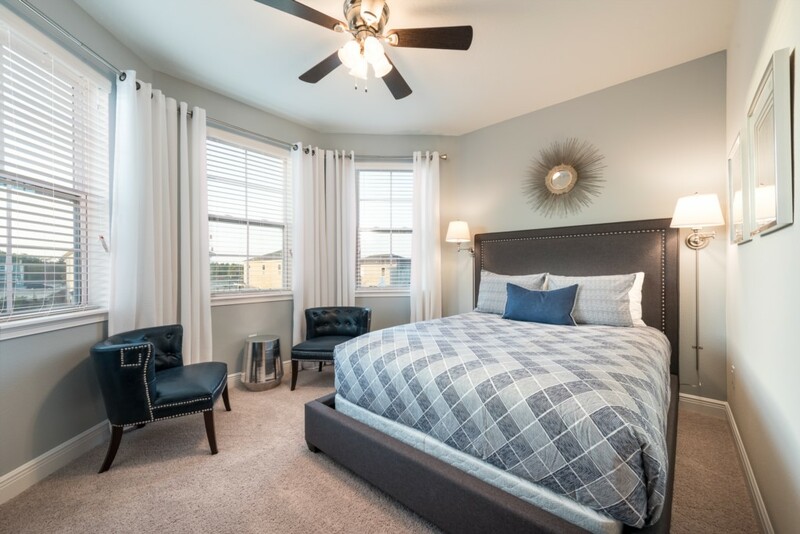 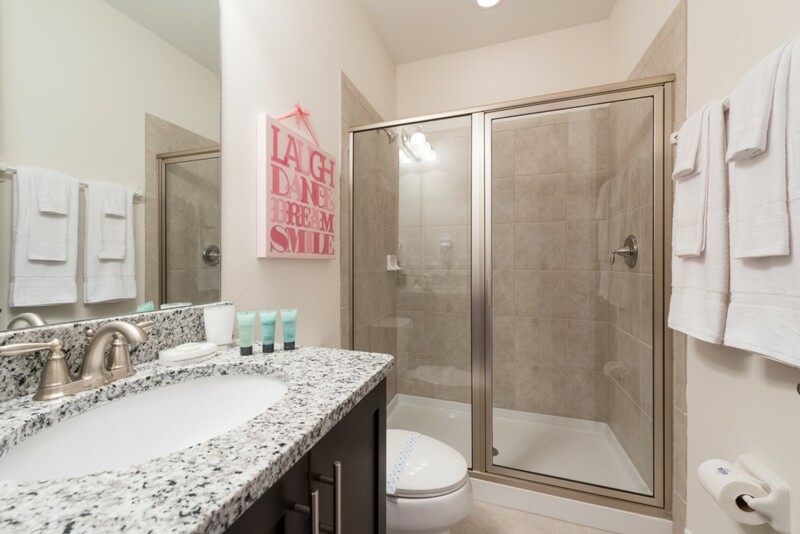 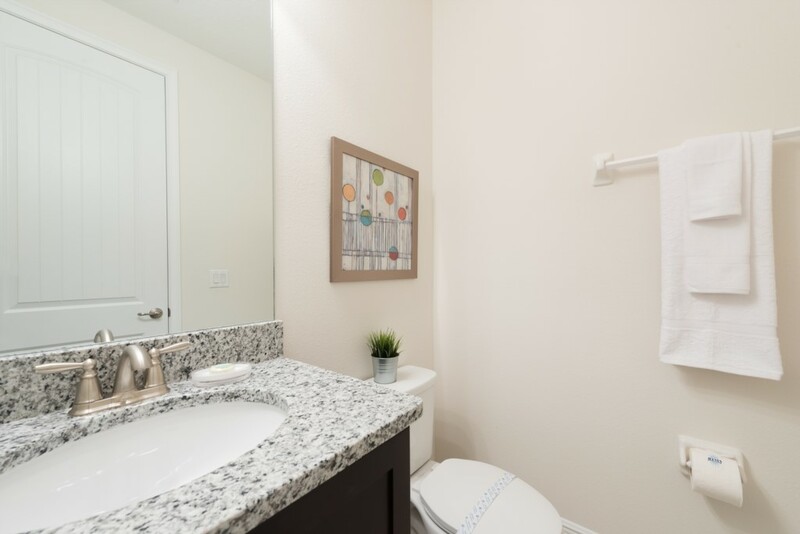 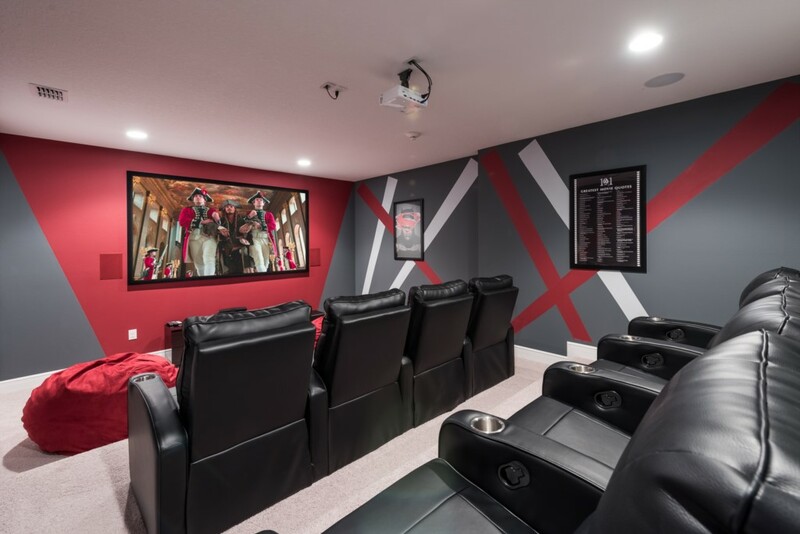 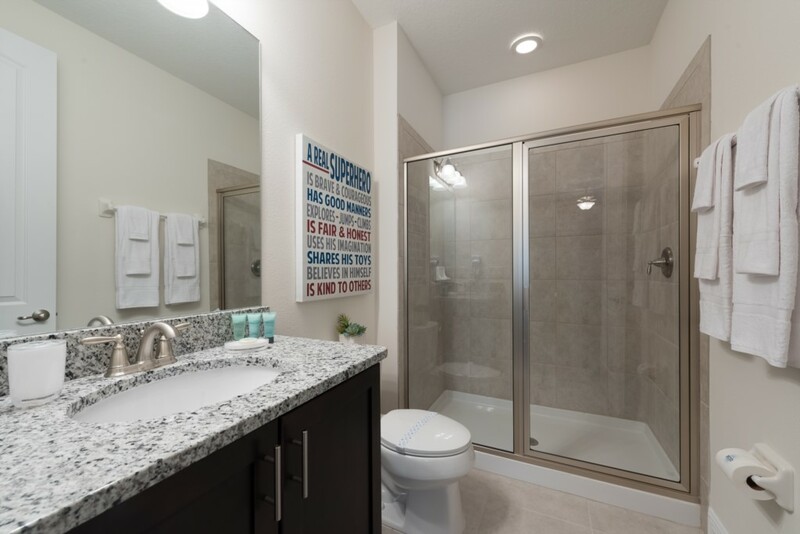 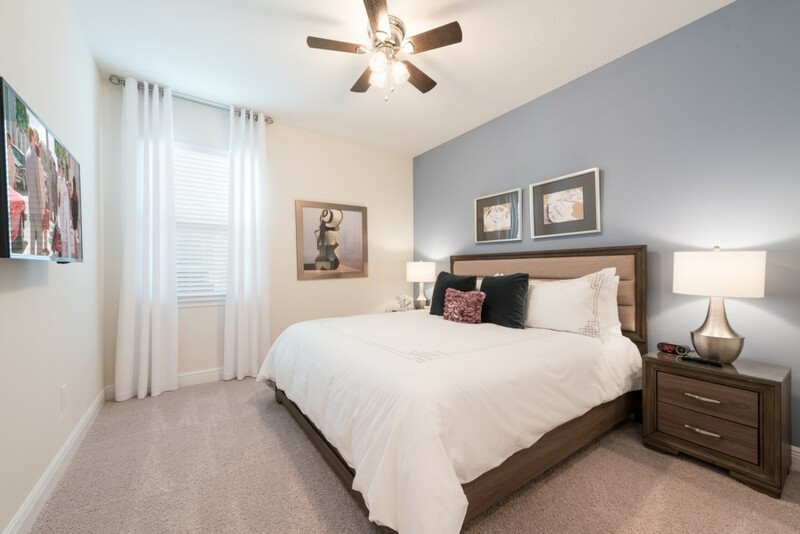 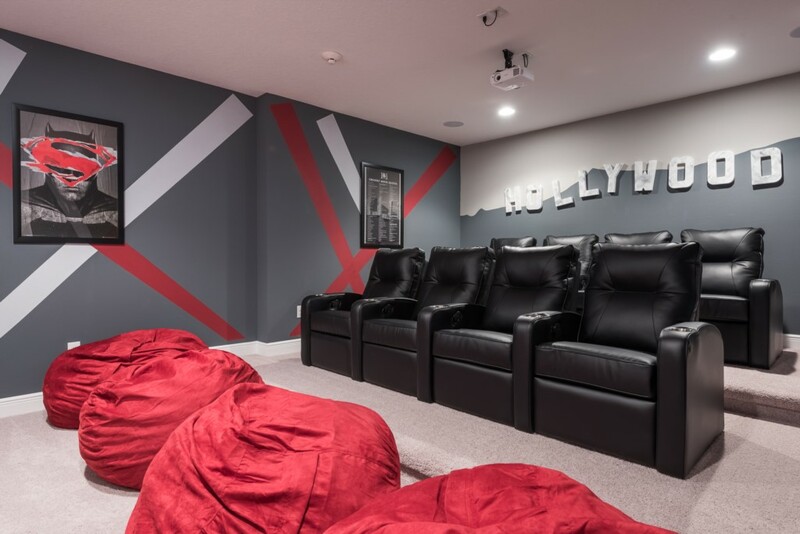 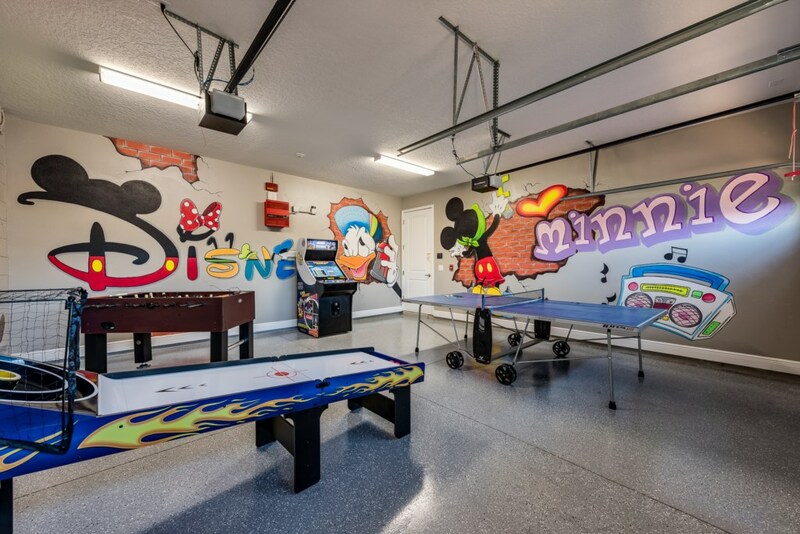 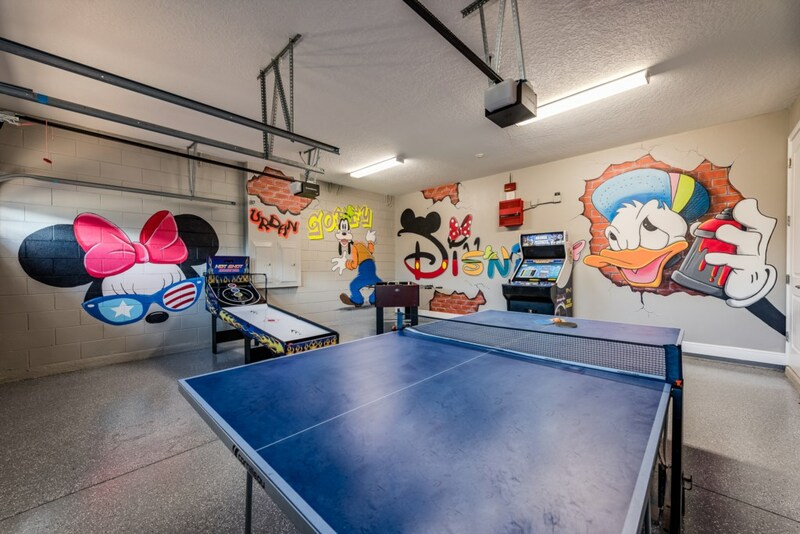 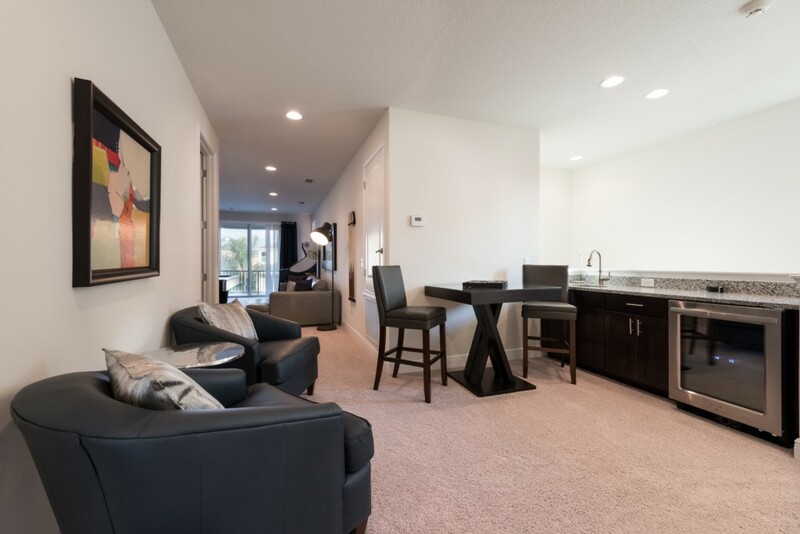 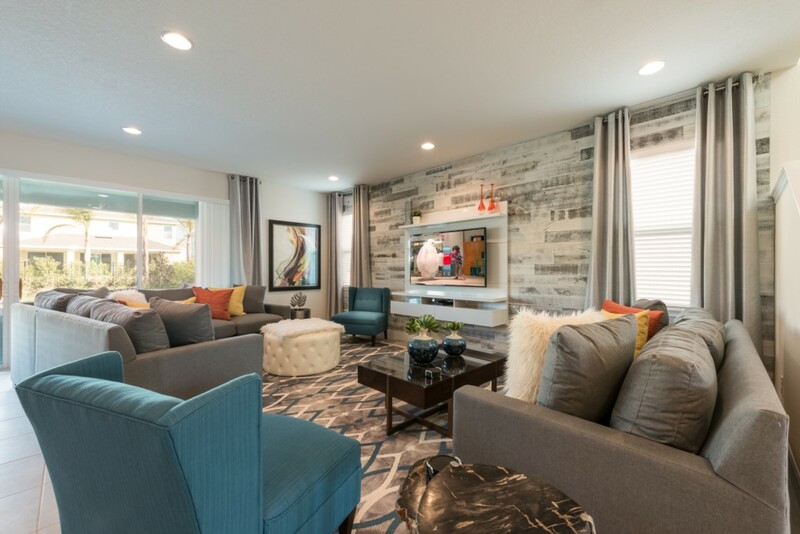 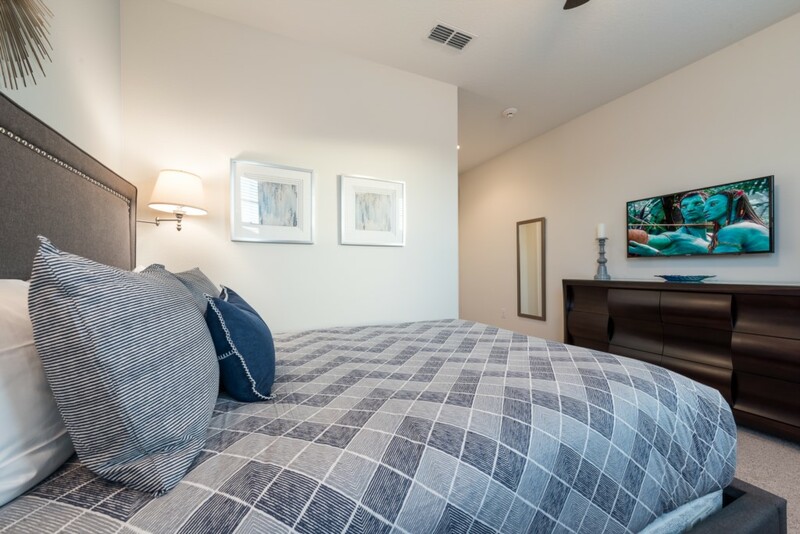 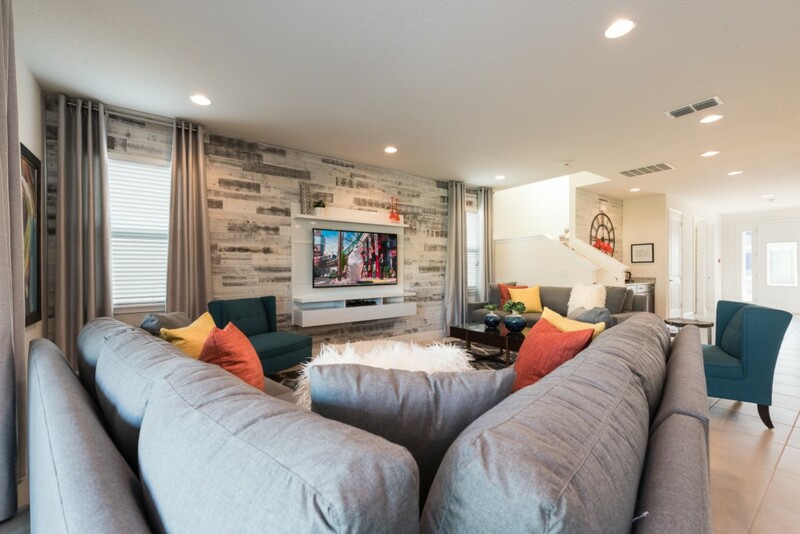 A home theater, themed games room, and entertainment loft area provides hours of endless entertainment where you and your loved ones can watch your favorite movies on a large projection screen or find out who is the best at pool, foosball, or video games!